Talented two-way lineman that earned Lineman of the Year honors in the Kingco 4A League, one of the top leagues in the state. Absolute beast on the defensive side of the ball where his preference lies. Will be the first 4 year starter in school history on both sides of the ball, and was the Seamount Conference Defensive Player of the Year in 2011..Should be considered one of the top two way threats in the entire NW..Outstanding 3.75 GPA with a full ride to West Point if he chooses. Strong at the point of attack. Has a chance to make a name for himself this spring and summer. Shelton’s older brother, Danny, started as a freshman for theWashington Huskies this past season, so Kevin comes from great bloodlines. Shelton has a nose for the ball and has great instincts. Like his brother, Shelton doesn’t seem to go hard on every down, but some of that could be that teams ran away from him most of the time. Talented line prospect who has a chance to move up on recruiting boards in the coming months. Tough, physical line prospect who will be looked at to be a leader up front for the Falcons in 2012. As a junior in 2011, Clinch received First Team All-Kingco Crest Division after helping his team to the state 4A semi-finals..
Second Team All-Metro in 2011…Transfer from Louisiana, outstanding size..Could be a D1 kid, currently doing much better in the classroom, only played three games last season and was farely dominant. Shelton DL DeShawn Bell (6-2, 235) – First Team All-Narrows 4A in 2011. Bellevue TE/DE Nathan Derider (6-1, 210) – Second Team All-Kingco 3A in 2011. Walla Walla DL Jeremy Larson (5-11, 260) – Earned Second Team All-Big Nine as a junior in 2011. Could be a stud on either side of the ball, but projects better on defense. When he “pulls the trigger” he gets to the ball in a hurry and he’s a physical presence inside. He uses his hands well and is a sure-tackler. He has great instincts, but because he’s nearly 6’3” tall, he could easily grow into a very good defensive end prospect. Totaled over 75 tackles this season. Pelluer is an old-school, run-stuffing middle linebacker, able to take on blockers and use his hands to shed and then make the tackle. Pelluer also improved his flexibility this past summer so he was much better in pass-coverage as well. As a two-year starter, Pelluer has notched nearly 300 tackles and has been named a First-Team All-League player. 1st Team All league on both sides of the ball. Kid has legit size and the motor to track down much smaller backs. Very impressive athlete. Reigning conference defensive player of the year. Incredibly fast on both sides of the ball. Continuously laying hats. Has the size and athleticism to be a prospect on either side of the ball, but projects as a LB..1st team all league LB with the work ethic to play a high level of college football. Cant teach heart and he’s got a lot of it..
Great athlete who pursues well. Could play linebacker if he doesn’t get big enough, but needs to work on his footwork and agility. Flies to the ball and makes plays all over the field. Is a bit undersized, but has great instincts. Second Team All-SPSL 3A after a solid junior campaign that saw him post 45 tackles and two interceptions. Mt. Tahoma (Tacoma) LB Snydrek D’Sia (6’0, 225) – D’Sia has a nose for the ball and is very athletic. Graham- Kapowsin LB Micayel Mckechnie (5-11 200)- 1st team all league LB that had outstanding junior year, should do big things teaming with Dawson and Porter. Eisenhower (Yakima) LB Jacob Martinez (6-1, 205) – Second Team All-Big Nine in 2011. Roosevelt (Seattle) LB Tate Maider (6-1, 210) – Second Team All-Metro in 2011. First Team All-SPSL 4A in 2011 and also named Defensive Back of the Year. Just a very talented athlete that has unique body control. Is a ballhawk who is always around the ball. Has great instincts and underrated speed. 1st Team All League FS, 6 Ints (1st conference), 83 Tackles (2nd Conf). Kid is an absolute assassin and maybe the most underrated defensive back in the Northwest. Earned First Team All-Narrows honors with a big junior season. Has athleticism and range. 2nd Team DB for Juanita in 2011 and was given top punt-returner honors in the Kingco 3A in 2011. Instinctive player who packs a wallop when he arrives. Forced five fumbles this season and posted over 70 tackles from his ‘Rover’ spot in 2011. First Team All-Wesco 4A in 2011. Legit talent that will be considered one of the best DB’s in WA. Capital (Olympia) DB Tad Maiava (5’8, 170) – Solid looking defensive back prospect who has a nose for the ball. Posted 58 tackles and four interceptions and earned First Team All-Narrows League honors in 2011. Sunnyside DB Joey Contreras (5’8, 165) – Contreras plays bigger than his size would indicate. He’s physical against the run and received First Team All-Big Nine honors this season for his efforts. Rogers (Puyallup) DB Stefan Van Horn (6-1, 180) – Second Team All-SPSL 4A in 2011. Rogers (Spokane) DB Anthony Hampton (5-10, 170) – Honorable Mention All-GSL in 2011. Gonzaga Prep (Spokane) DB Joe Lenoue (5-10, 180) – Honorable Mention All-GSL in 2011. Bryant is an outstanding athlete and very intriguing. He didn’t have a great junior season, so his value will have to be assessed this offseason as college coaches come in and get a good look at him. Bryant has a great motor and his work-ethic is reportedly good, but he needs to get stronger and add more muscle to his frame. Has the size to project at a high level, but will have to work on fundamentals and speed. Kids a monster. Injured for the better part of his HS career but is now healthy and more then looks the part. Midema has outstanding size and an upside that is through the roof. He is willing to put in the work needed as he is still raw, but many Pac 12’s love this kids potential. Thompson has all of the size and athleticism necessary to be a prospect that D-1 schools are after. However, he is very raw and will need to show his potential this offseason. Curtis OL Zach Budnick (6’3, 260) – Great technique and plays with a chip on his shoulder. Hazen (Renton) OL Tyler Wicks (6-3, 270) – Second Team All-Seamount in 2011. Issaquah OL Jake Volk (6-1, 235) – First Team All-Kingco Crest Division 4A in 2011. Marysville-Pilchuck OL Iggy Gabov (6-2, 240) – First Team All-Wesco North 4A in 2011. Roosevelt (Seattle) OL Marquel Stoudamire (6-3, 240) – Second Team All-Kingco 4A Crown Division in 2011. Incredible overall athlete that has figured out how talented he is on the grid iron. Has primarily been a basketball player, but things have changed. Has done very well at our NEI Camps/Combines. Earned Second Team All-Narrows as a junior in 2011. Super talented overall athlete that earned second team all league honors as a sophomore, but was injured for entire junior season. Outstanding basketball player that has the potential to be one of the state’s best WR’s, with junior standout Nick Mitchell at QB. Talented receiver with size and speed that had decent numbers in 2011, but has done very well at our camps & combines and projects at a high level. Outstanding overall athlete. Related to one of the top receiver coaches in the country in our own 6-6 Mike Bush who was a two sport standout out at WSU. John had 47 tackles and 2 Ints as a DB, but should play both this season. Garfield (Seattle) WR Jamala Myres (6-2, 195) – Second Team All-Kingco 4A Crown Division in 2011. Cassel put up huge numbers in the CBBN this past season completing over 65% of his passes for 2, 664 yards, 27 touchdowns and only nine interceptions. Cassel is a pure pocket passer, but he does have enough athleticism to move around and make plays with his legs as well. One of the strongest arms in the country, needs to work on footwork. Has looked phenomenal at our camps and combines after earning all league honors as wide receiver last season. Looks very natural as a QB and has a cannon for an arm. Big kid not afraid to tuck the ball and run, undefeated league season a year ago (6-0)..Should be one of the better teams in Washington. Life Christian (Tacoma) QB Kingston Kuehner (6-1 195) – Army All American Invitee, outstanding potential..
Franklin QB Robert Calloway (6-0 180)- Talented overall athlete, cousins with one of the regions top talents in Tere’ Calloway; loves the game has just been put in a tough situation playing on sub par team. Solid runner who was named First Team All-SPSL on both sides of the ball this past season. 1300+ yards, 13 Tds, outstanding overall athlete. Has showed up at the NEI/Barton elite events and done tremendous. Undersized but very talented. 1st team all league RB, 11 Total Tds 7.5 YPC, Outstanding Kick Returner, Could have a huge senior year, 3-6 team that has some legit coaching in place with some talent returning. Only carried the ball ten 10 times, but accounted for 41 total tackles on defense. Should have a monster year with the departure of Levonte Littlejohn at RB. MVP’d recent combine at Gig Harbor, big time speed and power. Lakes (Lakewood) LB Dre Milton (5’10, 225) – Flies to the ball and makes plays all over the field. Is a bit undersized, but has great instincts. Second Team All-SPSL 3A after a solid junior campaign that saw him post 45 tackles and two interceptions. 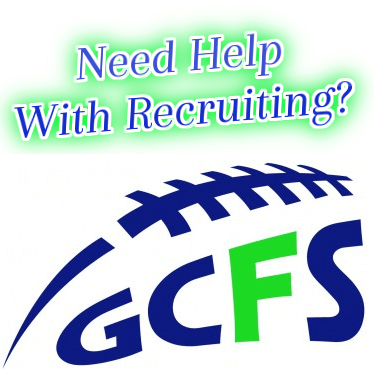 Gonzaga Prep (Spokane) RB Griffin Hare (6’0, 180) – Very quick and runs well inside or outside. Rogers (Spokane) RB Luke Rogers (5’9, 185) – Promising junior runner who has great quickness and vision. Kentridge (Kent) RB Jimmie Davis (5-11, 180) – Second Team All-SPSL 4A in 2011. Archbishop Murphy RB Alex Galgano (5-11, 190) – First Team All-Cascade Conference in 2011. Ingraham (Seattle) RB Quante Cox (5-9, 170) – Second Team All-Metro in 2011.